One of the most popular version control systems is git, a distributed version control system. Many projects maintain their files in a git repository, and sites like GitHub and Bitbucket have made sharing and contributing to code simple and valuable. 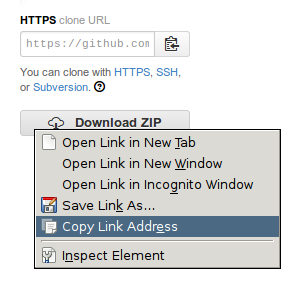 In this guide, we will demonstrate how to install git on an Ubuntu 14.04 VPS instance. We will cover how to install the software in two different ways, each of which have benefits. This tutorial assumes you are signed in as a non-root user which you can learn how to create here. By far the easiest way of getting git installed and ready to use is by using Ubuntu's default repositories. This is the fastest method, but the version may be older than the newest version. 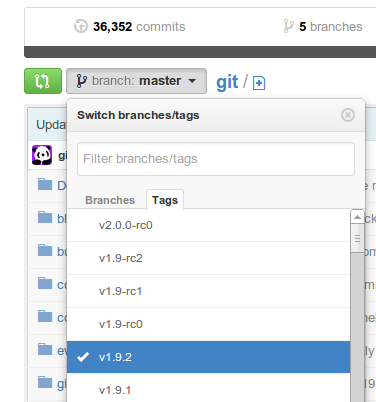 If you need the latest release, consider following the steps to compile git from source. This will download and install git to your system. You will still have to complete the configuration steps that we cover in the "setup" section, so feel free to skip to that section now. After you have installed the necessary dependencies, you can go ahead and get the version of git you want by visiting the git project's page on GitHub.